International Amsterdam Fashion Academy » Amsterdam Fashion Academy Congratulations class of Forecasting-Marketing-Buying short fashion course! Congratulations class of Forecasting, Marketing & Buying short-course! 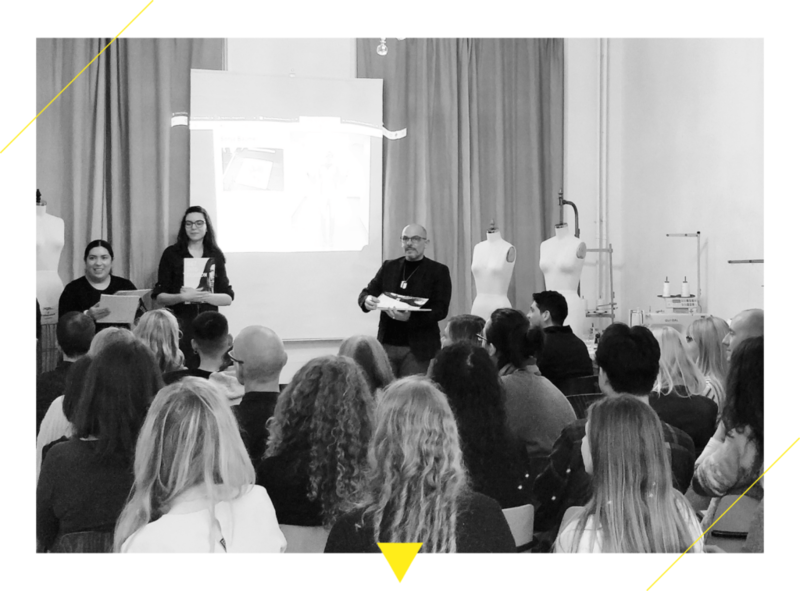 The Fashion Forecasting, Marketing & Buying short course finished on March 27 when each of the 14 students received his/her certificate of completation in front of the audience of the last Meetup. – Cristiano Carciani, Head of School ad interim. This short fashion course is intended to develop participants with the knowledge and skills to work on the business side of fashion in areas that include merchandising, buying, sales, production, communications, sourcing and range planning. The following topics are covered: Understanding consumers, Consumer profile, Trend prediction, Buying and target markets, Promotion campaigns, Sales promotion, Fashion PR, Fashion marketing & promotion trends, Fashion marketing frameworks for research & analysis, Fashion market level research. – Rosie Martinez, lecturer of the course. We will offer this short fashion course again from the 9th of October to the 27th of November. Don’t wait too long and register to the short course Fashion Forecasting, Marketing & Buying now.